Guijie Street stretches from Dongzhimen Overpass in the east to East Jiaodaokou Street in the west and is one of the most picturesque streets in the city. There are more than 150 stores and out of which 90 per cent are restaurants. Visit the destination and have some of the delicacies that the place has to offer. If you are someone who loves to try different kinds of food then you will fit right in as the destination has some of the best food places in the destination. 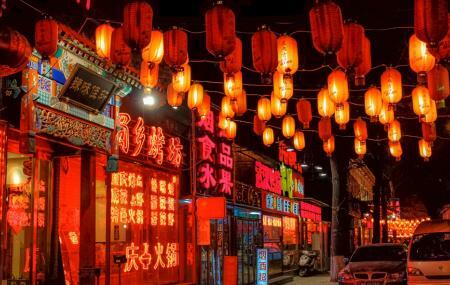 Also, visit the popular attractions in the city by following Beijing itinerary 4 days. Take a subway from Dongzhimen. Take a bus from Dongzhimen. How popular is Guijie Street? People normally also visit Embassy Of The Republic Of Cameroon In China while planning their trip to Guijie Street.